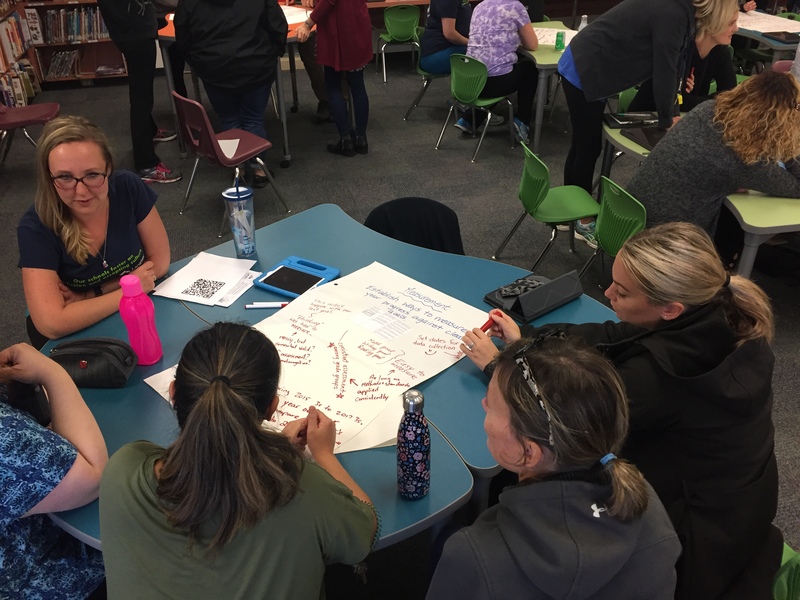 We are only a few weeks into the school year and there are plenty of rich, collaborative learning experiences happening within our classrooms! 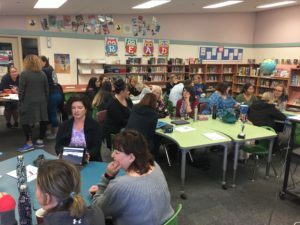 It is exciting to hear the rumblings of inquiry, curiosity, collaboration and learning connections as I visit the classes each day! 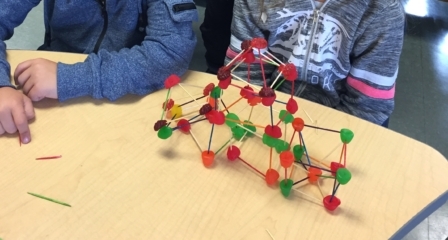 In Ms. Clayton’s grade three class, students were working on cooperative structures, using toothpicks and gummies! 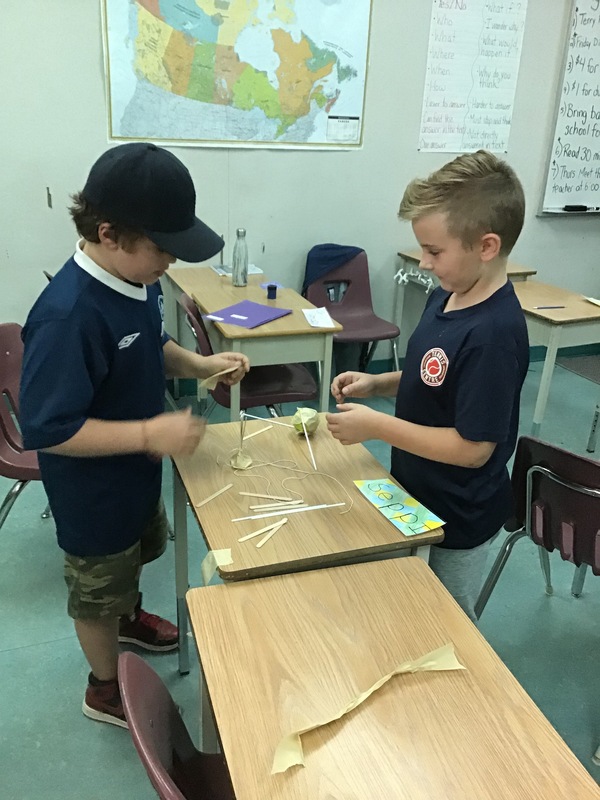 Students showcased their skills with the Core Competencies by using their creative thinking skills to communicate ideas and collaborate with others to build a freestanding structure. The extra bonus was the delicious demolition at the end. On a different day, students were solving a problem by conducting tests on a foil boat. 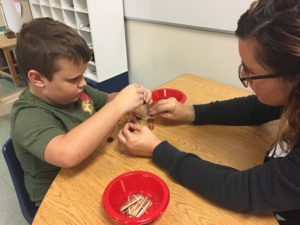 They had to create a boat out of aluminum foil that would hold the most marbles without sinking. In Ms. Anderson’s grade 4/5 class, students completed a design challenge. They were asked to work in pairs and use critical thinking to get a tennis ball at least 5cm off the ground. Their supplies includes just 10 Popsicle sticks, 4 straws, string and tape to make their structures! Design challenges help students to come up with an idea, test the idea, make adjustments and improve the design. It takes creativity, teamwork, perseverance and A LOT of patience! 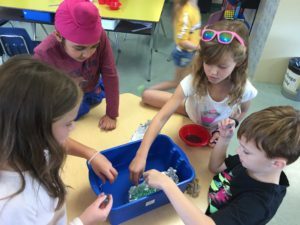 In Ms. McColl’s Kindergarten class, our kindergarten st udents are experiencing their first FULL days of kindergarten… and are they ever having FUN! 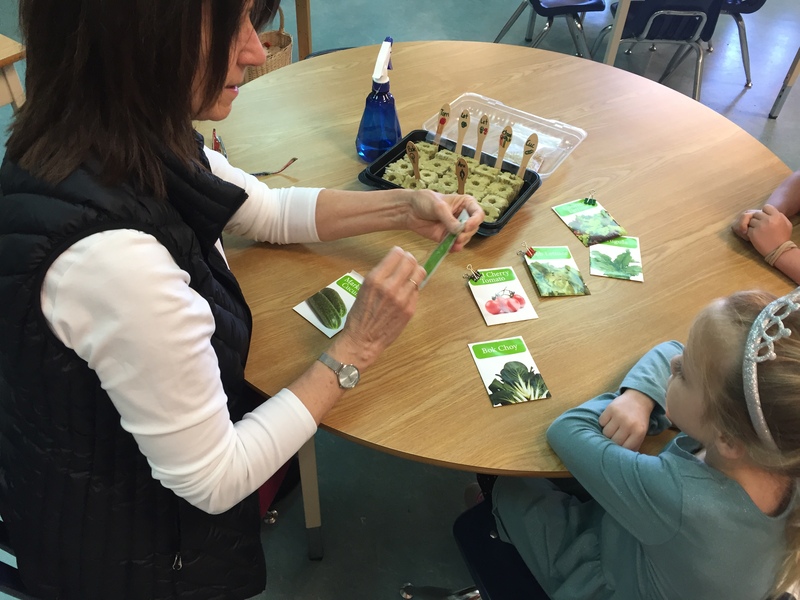 Our kindees are learning about seeds, and have started to plant their seeds that will then be transplanted to grow in our Garden Towers. The goal is to grow fresh produce that will eventually feed our Breakfast Program! Stay tuned as the kindergarten classes embark on this incredible learning of harvesting food from seeds Tower to Table! This p ast Friday was early dismissal for School Improvement Day! This is an afternoon for teachers to collaborate and work on school goals. Essentially, the teachers become the students and dive into their professional learning! 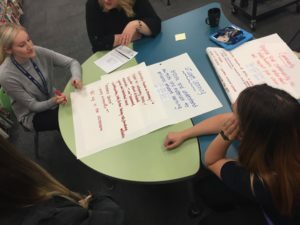 These shared days are so important for aligning staff towards a shared vision for the school so all of our learners can reach their full potential! It was a great chance to work together as a staff on our Action Plan for Learning!